After a brief cinematic prologue, “Destination Space” blasts off with the title track — a “Hang ‘Em High”-esque theme with the most-natural-sounding guitar, bass and organ sounds ever to come out of a synthesizer. About a minute in, the truly synthetic sounds take over, but only for a while before backing out into Spaghetti-Western Land again. This and Perrey’s other collaboration with Everett, Wash.-based synthesist Countryman seem to confirm the 80-year-old Frenchman’s return from retirement. 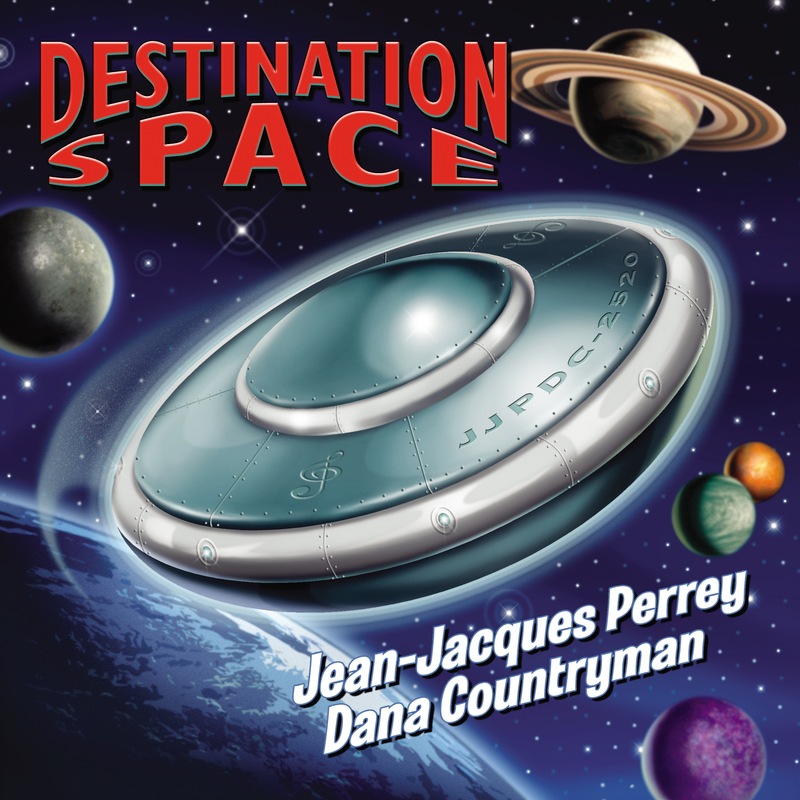 But whereas 2006’s “The Happy Electropop Music Machine” stuck to Perrey’s signature cartoon-style Moog music, “Destination Space” overall is more serious and varied, with most of the songs split between science fiction, spy rock and romantic. “The Spy From Outer Space” has a “Peter Gunn” rhythm and/or could have been inspired by the Jon and Vangelis tune “Friends of Mr. Cairo.” It also features exquisite Theremin work by by Kevin “Sukho” Lee of Seksu Roba. “Café Brasilia” is a laid-back bossa nova. “The Mysterious Mr. Him” assumes a Hank Mancini persona, complete with real horns (The Atomic Big Band — actually four guys multitracking trumpets, trombones and saxes with some tasty flute soloing as well). Swing is revisited later, in a 1940s vein and without real horns, on “Little Brown Moog,” a pastiche of Glenn Miller hits. The album’s unexpected delight is “Funky Little Spacegirl,” with its Frampton-like vocoder and electric sitar. And speaking of trippy vocals, the album rides off into space with “Beyond the Milky Way,” Perrey & Countryman’s first song with lyrics; with its 100 percent synthesized vocals, it really lives up to its “Carpenters meet ELO in outer space” billing.